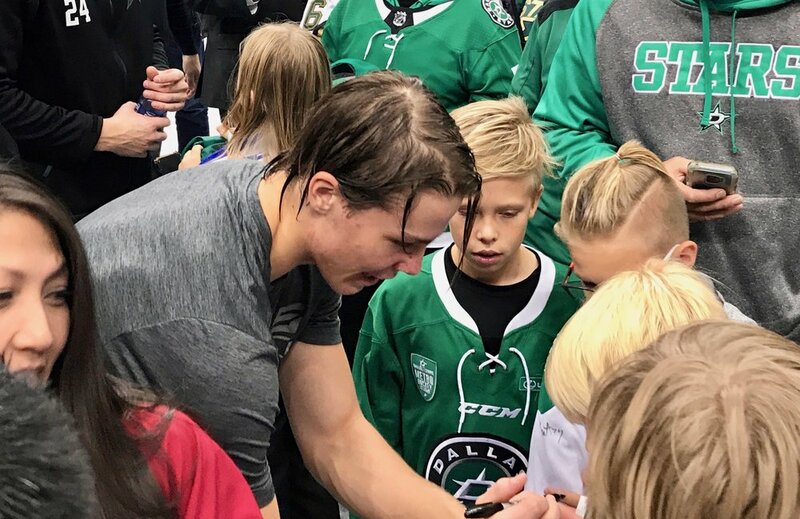 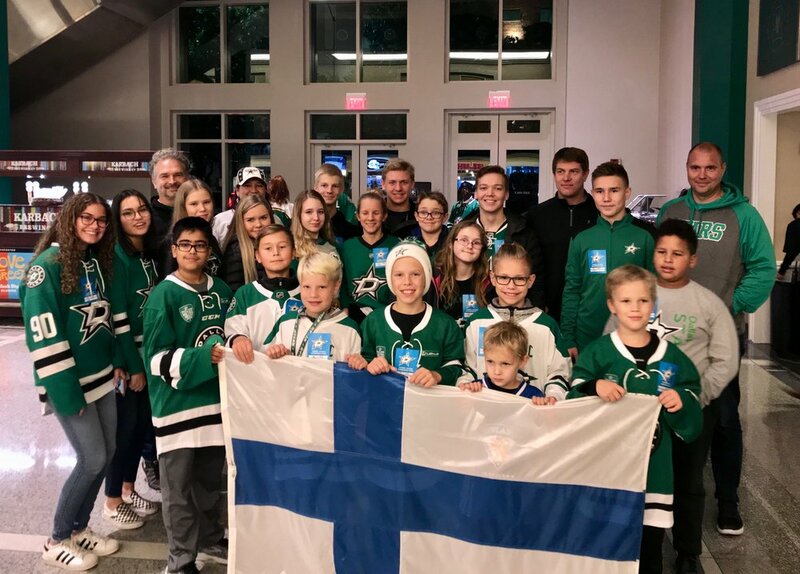 Finnish Pride Night with Dallas Stars on October 19th, 2018. 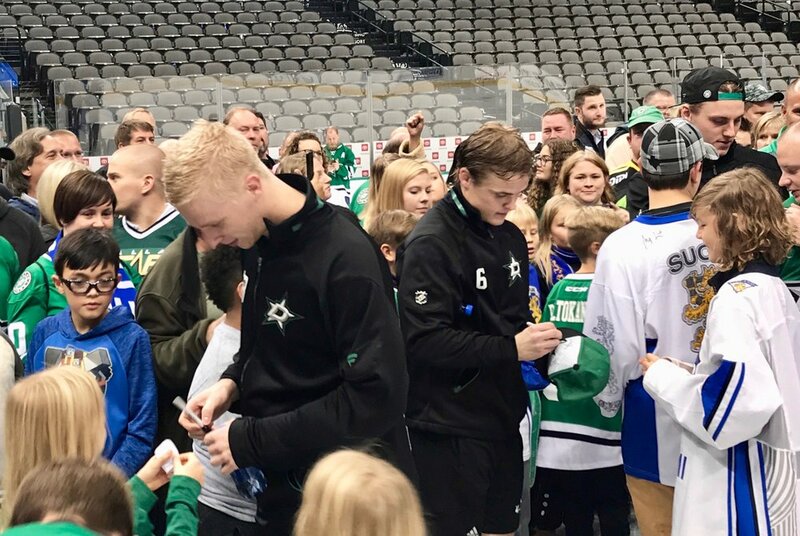 Esa Lindell, Julius Honka, Miro Heiskanen, and Roope Hintz surrounded by the Finnish fans. 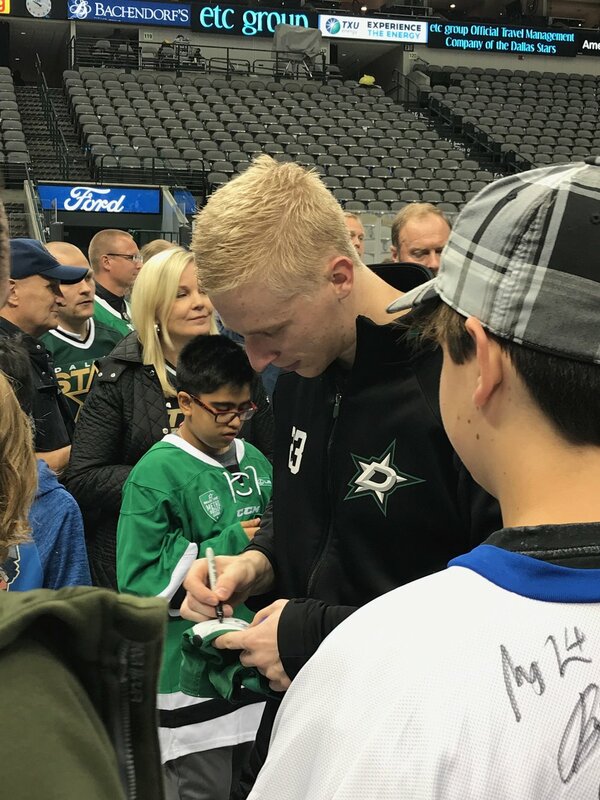 Finnish Pride Night with Dallas Stars on November 10th, 2017. 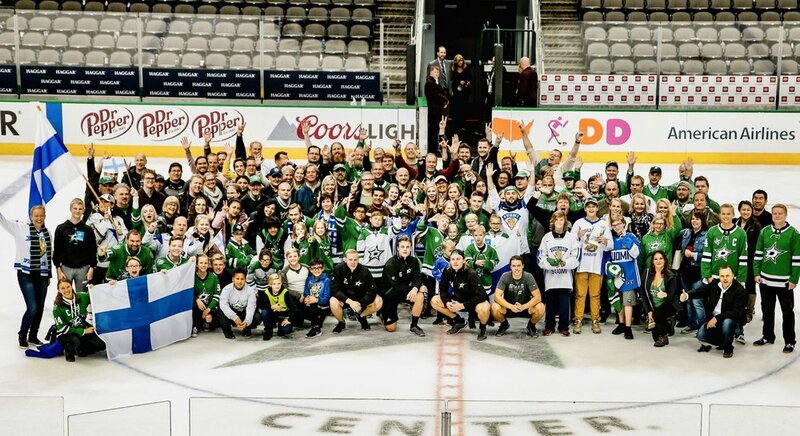 Kari Lehtonen and Esa Lindell surrounded by the Finnish fans.